A map of the parish boundaries. 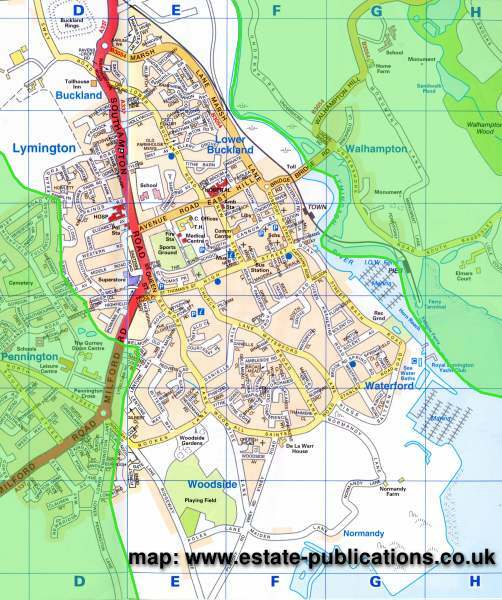 The green shaded area to the west is in Pennington parish, that to the east is in Boldre and South Baddesley parish. The apparently arbitrary boundary to the west is due to the fact that the boundary follows a stream rather than the roads. If you are close to the line, please contact us if you would like to know for sure which parish you are in.